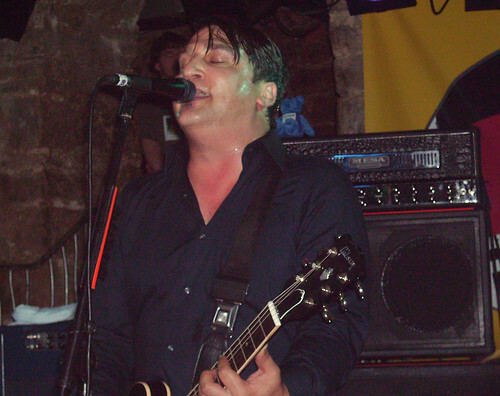 Greg Dulli, originally uploaded by alister. 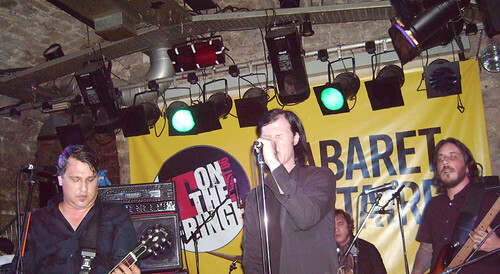 The last time I saw the Twilight Singers at King Tut's last year was one of the best gigs I ever saw. 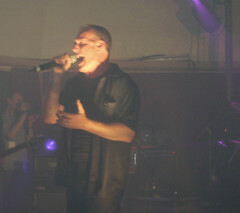 Greg Dulli's band were hitting the same streak of brilliance that his previous band The Afghan Whigs did. Unfortunately my high expectations were to be disappointed. 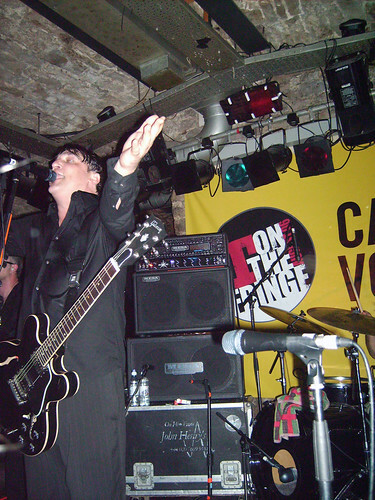 Cabaret Voltaire is a small venue and hot as hell but that shouldn't be a problem. But for some reason the sound was terrible, at least where I was standing. The vocals were more or less inaudible and the overall sound was so muddy it was hard to tell what song was being played at times. Worst of all was when Mark Lanegan came on stage, killing what momentum had built up, to mumble something unintelligible into the mike. There were some highlights to compensate. With fine renditions of Esta Noche and Teenage Wristband. But overall a case of 'better luck next time...'.